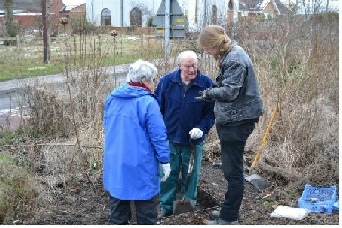 The first phase of the Clipstone Village Project took place in February and March 2013. 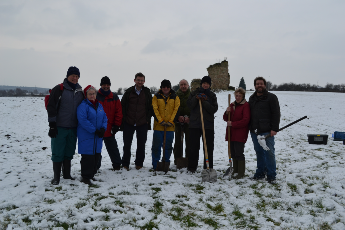 Picture: Villagers and volunteers at the Clipstone Village Archaeology Project 2013. 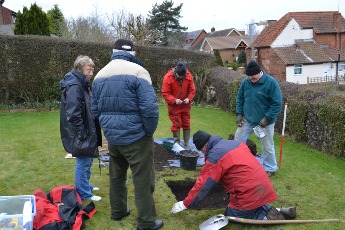 The first phase saw 15 test pits in gardens and on public and private land throughout the village. 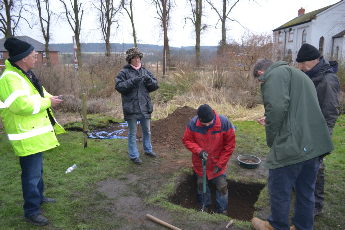 It formed part of long term research by Mercian Archaeological Services CIC into settlement development in Sherwood Forest. 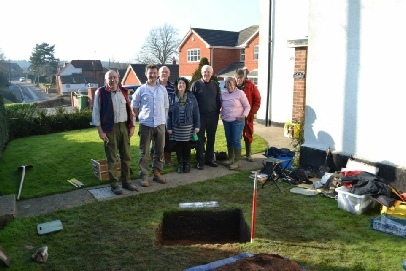 Finds from the project included 13th-14th century in the village, and a pit filled with medieval glass presumably stolen in the late medieval period from the nearby King John’s Palace. 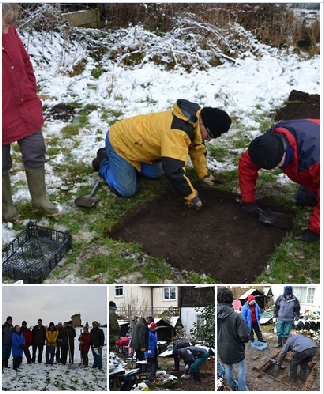 Results also showed that the Duke of Portland removed many traces of the medieval village when he had a water meadows system created on the Maun valley in the early 19th century. Kings Clipstone Village Project, Interim Report. 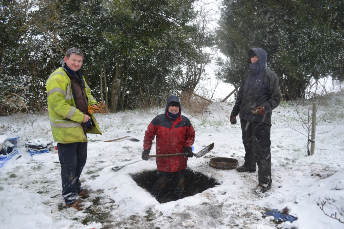 The Sherwood Forest Archaeology Project will be returning to Clipstone to dig more test pit in the village in the very near future, as there is fantastic community support for the project, and a desire for more work. The Project is in the process of raising the money required for phase 2. The next phase will be looking for the original “Clippa’s Tun”, and will also investigate the wider landscape of the settlement.